Today started off like usual we met at the normal location about 10:00am except today's dig also included Ryan who drove down from York Pa to do some digging. We started off with a drive around fells point when I got a call from John saying he got off work early and wanted to dig. 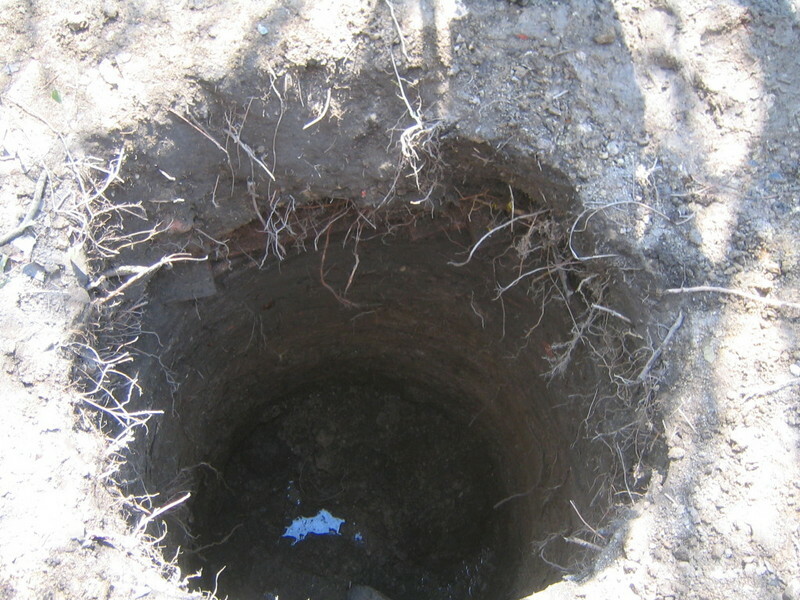 He said he had a pit on the west side of town to dig so he told us ware and we headed over to meet him there. We arrived a few minutes after John did and quickly got to work. This was a round Brick lined privy loaded with TOC beers and a few misc bottles. It wasn't a good producer but we did get a nice embossed shot glass, a Philly ink, and some local meds. The worst part about this privy was it was completely filled with water from about 4 foot down, we had to bail the water out the entire way down. 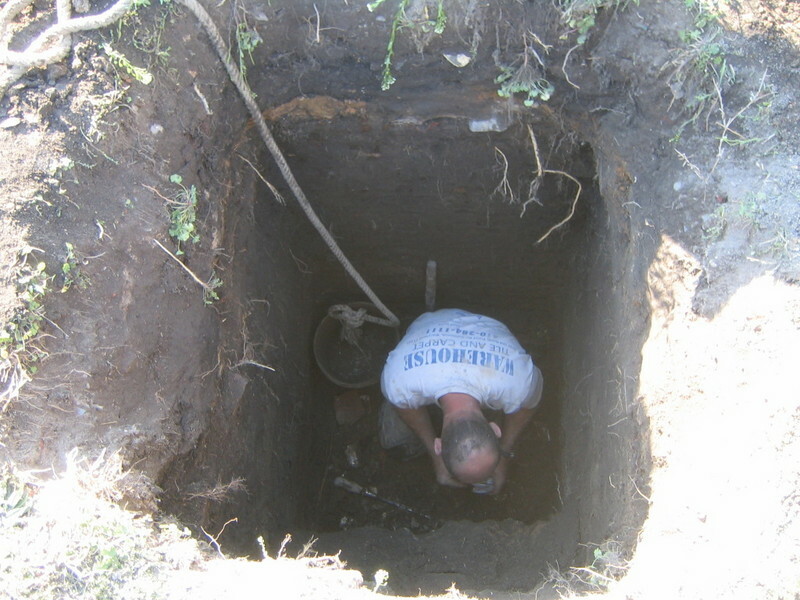 After we finished this privy I suggest we move to an older part of town. Where me and Doug had done pretty good a couple weeks before. there were still a few houses on this line to dig. I quickly probed out a privy for the house we were behind and if it was like the ones we had already dug it would be a rectangular brickliner that was shared between this yard and the house next door with a wood divider wall in the middle. We started taking this one down and quickly had the walls exposed and as I guessed this pit was exactly like the other one dating around 1870-1850 and shared. The first half was loaded with all kinds of artifacts in the bottom foot however most were broken which is usually the case. The other half wasn't as full and was dipped harder and produced only a few keepers. 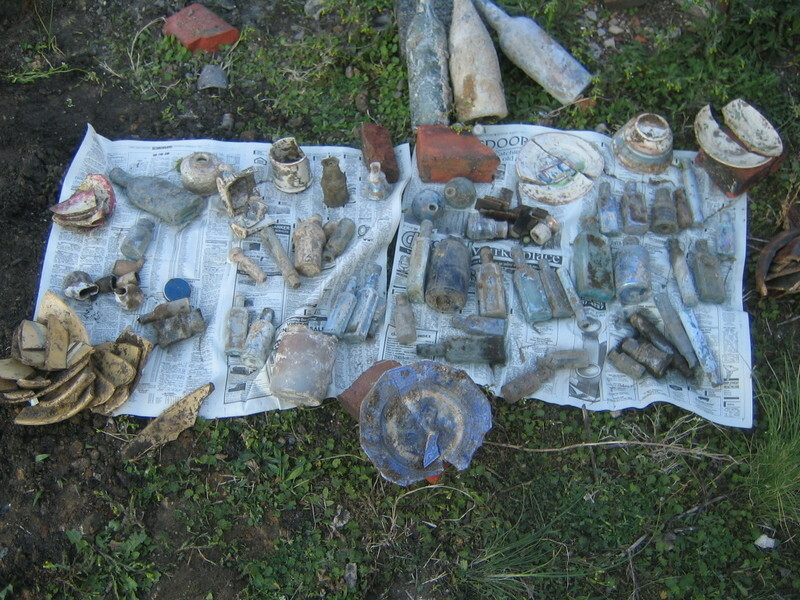 The heart breakers of the day included 2 Baltimore historical flasks, a very nice OP Baltimore druggist, a IP cobalt squat, lots of mochaware, and other pottery shards, and some other stuff I really cant remember. We did end up with quite a few OP puffs, tons of meds, some pottery pieces, a very nice glass finger oil lamp, a couple of plates and mugs, and some other stuff. Overall not a great pit but at least it was old.